One of the things that my husband and I discovered when we were dating was our love for these movies that happened to all be written/directed by the same person and essentially produced by the same company, with a fairly consistent cast and artistic choices. 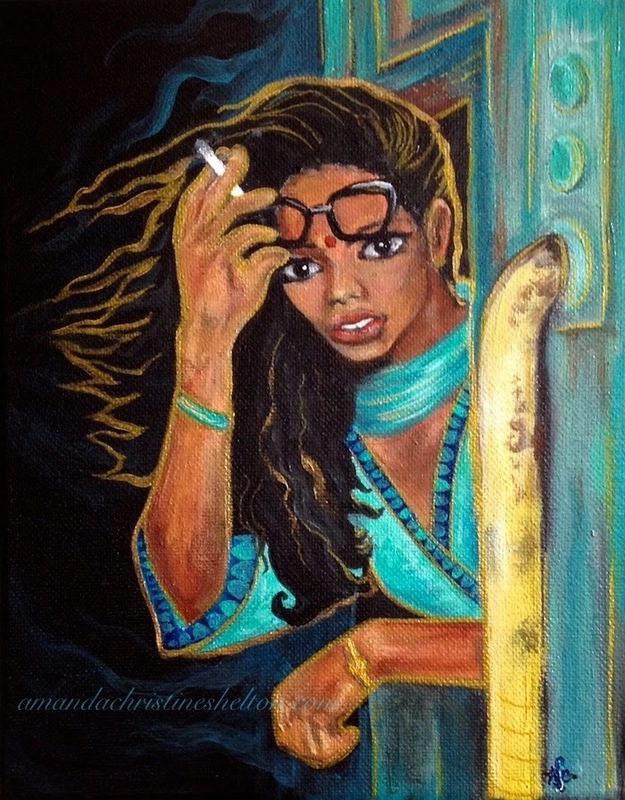 For me in the movies there are a variety of characters/themes/subjects across his filmography I have wanted to explore in art but they have not hit a surface yet until I set out to paint Rita (played by the beautiful Amara Karan) from The Darjeeling Limited, one of our favorites. Sweet Lime is available in my online shop here. Stay tuned for more art and updates later in the week!